Leominster is located in the heart of the beautiful border countryside, where England and Wales nudge each other along Offa's Dyke. 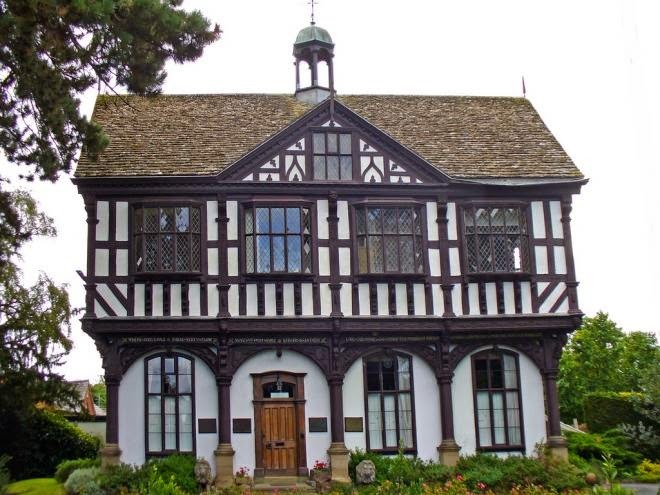 Grange Court is a Grade II listed timber-framed market hall built by John Abel in 1633. Once in the centre of town, the building was dismantled and rebuilt in Grange Park in 1859 by John Arkwright. It is now a heritage centre telling the story of Leomister. Leominster Priory dates from the middle of the 12th century with later additions. A nunnery in 660AD, it was rebuilt in the 12th century. The unique tower has work of early Norman, Transitional, Early English, Decorated and Perpendicular periods. The reformation of 1539 led to partial destruction. 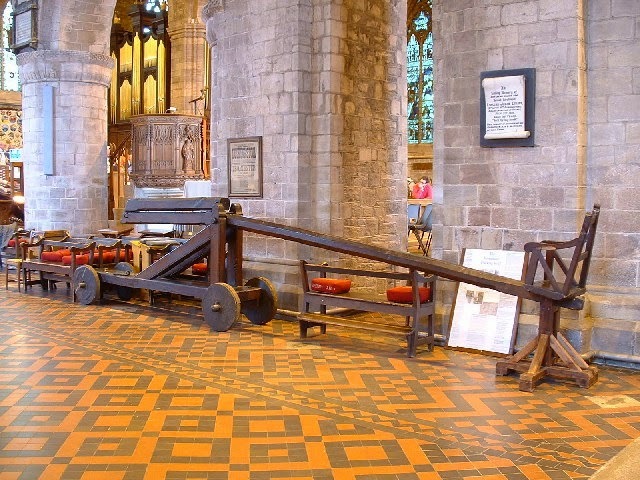 Inside are many interesting features including England's last used ducking stool. 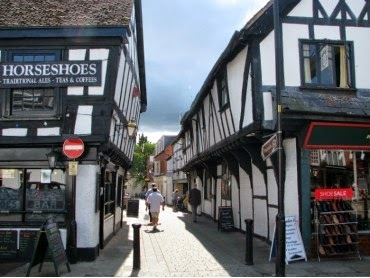 Leominster Museum tells the story of Leominster and its people from pre Roman times to the present day. 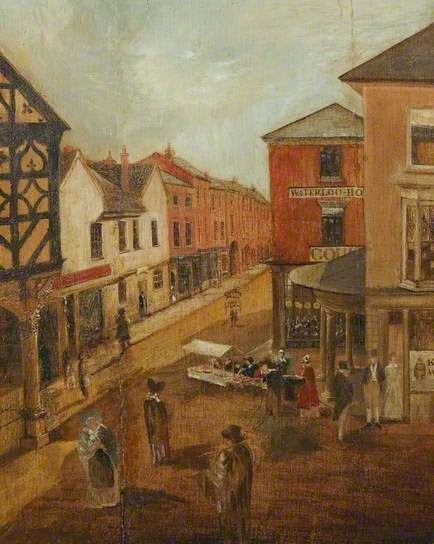 The collection comprises artefacts, pictures, photographs, postcards and documents, including an important collection of paintings and drawings by famous Leominster Victorian artist John Scarlett Davis. See the paintings here. Click here for a map of Leominster. After lunch we move on to Hampton Court Castle. The estate was originally formed by the merging of the manors of Hampton Richard and Hampton Mappenor. 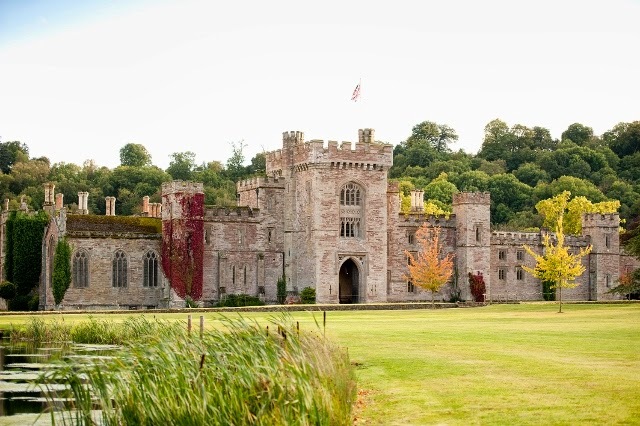 It was granted by Henry IV to Sir Rowland Lenthall at the time of his marriage to Margaret Fitzalan, daughter of the Earl of Arundel and a cousin of the King. Lenthall built the original quadrangular manor house in 1427, twelve years after his knighthood at the battle of Agincourt. 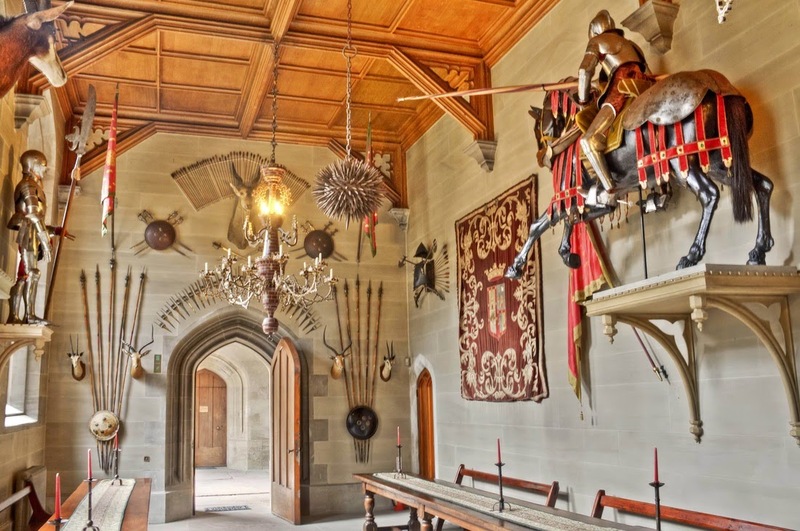 In 1434 he was granted a licence to crenellate the house by Henry VI. Sir Rowland was succeeded by his daughter who married the Baron of Burford and it was their grandson who sold Hampton Court to Sir Humphrey Coningsby in 1510. Hampton Court remained in the Coningsby family, a prominent noble Herefordshire family, until the early 19th Century when the estate was purchased by Richard Arkwright, the son of the famous inventor. 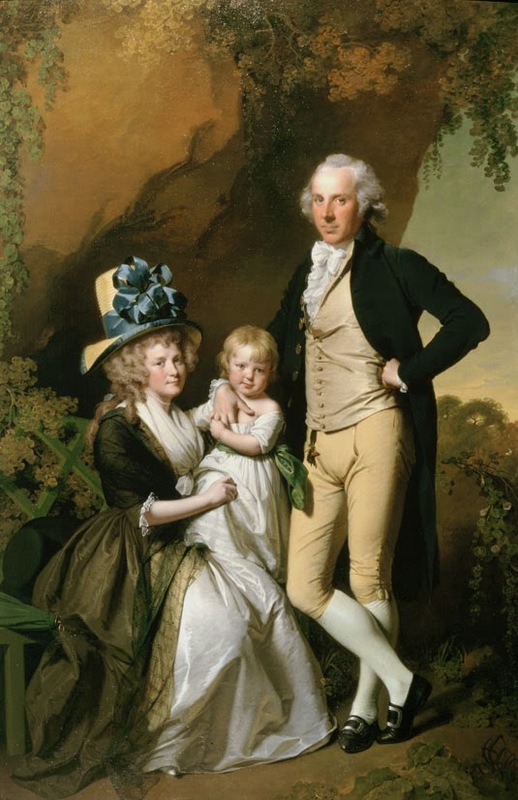 Richard Arkwright's son, John, then commissioned the remodelling of the house in the 1830's and 40's, the work being designed and carried out by Charles Hanbury Tracy, later Lord Sudeley. The Arkwrights lived at Hampton Court until 1912. Original Victorian garden walls enclose stunning new flower gardens divided by canals, island pavilions and pleached avenues. There is a maze of a thousand yews with a gothic tower at its centre. Climb to the top for a panoramic view of the gardens or descend underground to a tunnel that leads to a waterfall in the sunken garden. Beautiful herbaceous borders stretch out from a one hundred and fifty year old wisteria tunnel that leads to vast lawns and ancient trees beside the castle. Beyond the lawns are riverside and woodland walks. Adjoining the castle, in the grand conservatory designed by Joseph Paxton in 1846, is the Orangery Café. For this weekend only, the Castle cellars are open, as part of their Halloween celebrations, which also includes a display of owls and a collection of creepy crawlies!